The (long-awaited) first batch (the “First Batch”) of the Catalogue of Health-Food Ingredients and Claims (the “Catalogue”) has finally been officially issued on by CFDA – jointly with NHFPC – with Notice No. 205 of 2016 (dated 27 December 2016, but officially released on 12 January 2017). The Notice – whose unofficial translation can be found here – basically covers only vitamins and minerals supplements, and lists – per each mineral or vitamin – the allowed compound ingredient and their relevant Chinese standard, usage scope (groups of people), daily intake (max and min) of its effective ingredient per each group of people. Health-food products using these ingredients in compliance with these conditions are eligible for claiming the health function “Supplements vitamins, minerals” (in Chinese: “补充维生素、矿物质”). This seems very good news for vitamin/mineral supplements exporters, as – based on the 2015 Food Safety Law – health-products including ingredients listed in this catalogue can be imported and distributed only upon a simple notification procedure, thus avoiding the previously-required registration procedure with CFDA – very long (1-2 years) and rather costly. Few days after, on 25 January 2017, CFDA issued another notice (N. 16 of 2017) to officially announce that – starting from May 1, 2017 – both domestic and producers of health-food using ingredients listed in the First Batch will need to apply for recordation/notification (in Chinese: 备案) of these products with CFDA (at national level for foreign producers, at provincial level for domestic producers); the notice also confirms that – starting from January 25, 2017 – CFDA will not accept any more application for registration (in Chinese: 注册) of those products. Of course, this is only the beginning, and several other batches shall be released to cover the allowed health claims – currently 28, however their number is expected to be increased. As always, no timeline is available for these next steps. Beside next batches of the Catalogue, regulation of health-food products has already undergone significant changes as the regulations applicable to their registration and notification entered into force in 2016; moreover, further developments are in the pipeline as the Implementing Regulation of Food Safety Law which – after that phase for public comments to its draft ended in November 2016 – is going to be published and enter into force likely later this year. The Administrative Measures for the Registration and Record-filing of Health Food Products (the “Measures”) – into effect since July 1, 2016 – provide the framework regulation for the pre-market compliance of health food products. it is a vitamin/mineral/nutritional supplement imported for the first time, as long as their raw materials are included in the Catalogue. Health food products imported for the first time (except vitamin supplements/minerals/nutritious substances). A health food product is considered as imported for the first time when there is a change in its exporting country, exporting enterprise, or in its formula. In theory, the legal definition as it is written might potentially leave a blank area for first time imported vitamin/mineral/nutritional supplement whose raw materials are not on the Catalogue – although in practice this could be a rather rare case. 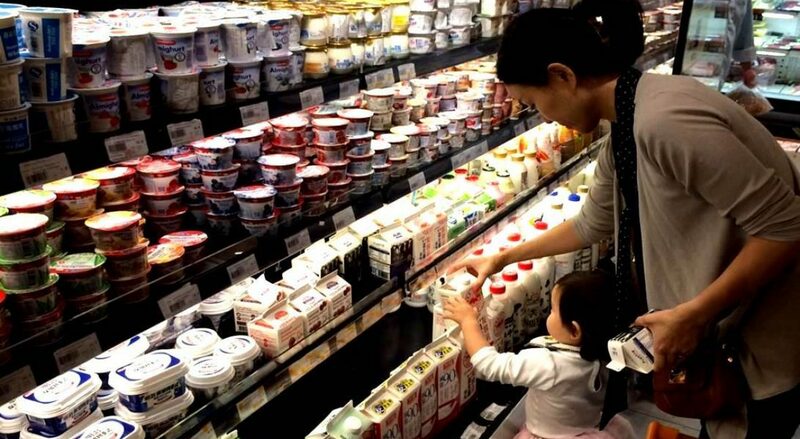 Registration of imported health food products shall be launched in the name of the overseas producers but handled by a PRC domestic entity – which, besides answering to the need to have a domestic entity responsible for this rather sensitive products, in practice is also reasonable due to the high administrative burden to be managed on site. Application materials in fact also include detailed R&D reports, formula (including the dosage of raw materials and auxiliary materials, production processes and quality standards, descriptions on the parts used, certificates of inspection conformity, variety appraisal reports), streamline of production process, materials on the evaluation of the safety and health care functions of the health food product (e.g. evaluation materials on the consumption by human beings, testing reports on the effective ingredients or symbolic ingredients, hygiene, stability, strain identification, strain virulence, etc., as well as testing reports for stimulants and illegal substances). This burden is even heavier for first-time imported health food products, as additional documents are required including – for instance – official statement from exporting country’s authorities that the product has been sold on the market for at least one year, safety reports on the overseas sales of such product and on its consumption by human beings; technical regulations/standards applicable to that health food product in the production Country or issued by relevant international organizations. Registration process involves an assessment phase with several tests, inspections and evaluations to be conducted in China by CDFA. Notification procedure – on the other hand – is rather straightforward, directly handled by the overseas producer. Application package remains not negligible – as it is rather similar to that required for registration, along as an all-item inspection report issued by a duly qualified inspection agency that the health food product meets product technical requirements; however, after submission, notification procedure is basically completed at the moment and on spot if the application package is complete and compliant – which in practice might not happen at the first time, but rather may require a few rounds of “fine-tuning”. I found very interesting to observe how much care is dedicated by the Measures to the naming of health-food products (art. 56 and following). This might be in response to several cases where food products (not qualified as health-food products) have acted “border line” with health claims, triggering complaints and ultimately litigations from consumers. 2005, now repealed by the Measures – only had two brief articles dedicated to this issue, versus four rather detailed articles in the Measures). Under the Measures (as well as under the previous regulation) health-food name shall consist of its trademark name (i.e. registered or unregistered trade name), generic name (i.e. specifying the main raw material and or other characteristics) and attribute name (expressing the dosage form or food classification attributes). Other terms and phrases that mislead consumers (very interesting to see how this will be interpreted). Pinyin, alphabetic letters, numerals, etc (we interpret “etc” as “characters different from Chinese ideograms”) are forbidden too, except if they are included in the (registered) trademark-part of the name, or if they belong in the official raw material name (in the generic part of the name: e.g. “维生素B1” , i.e. Vitamin B1). Certain vitamins or minerals in the product formulas of nutrient supplements. Very important: with a similar provision to infant formula, a same company may not (i) use the same formula to apply for the registration/notification of health food products with different names, nor (ii) use the same name to apply for the registration or record-filing of health food products of different formulas (interesting to see how differentiation will be allowed, on case by case basis). We mentioned earlier about the draft – published in October 2016 and undergoing now its final review after public comments phase has ended – of the Implementing Regulation of Food Safety Law. In retail points, health-food shall be sold only within specific dedicated areas, clearly distinguished and separated both from ordinary-food and drug areas (with clear “this product cannot replace drugs” disclaimers). Is life for health-food companies easier now that it was? It appears so – at least for those which can benefit for the notification procedure: market-entry is indeed eased. On the other hand, the new set of regulations seems to attach more strings to the way these products are promoted and distributed.